As most young male birds get ready to leave the nest, they learn their species’ song by hearing their male parent sing it again and again. They imprint on their father’s song. So how does a Brown-headed Cowbird, raised by parents of a different species, learn to sing the correct song? 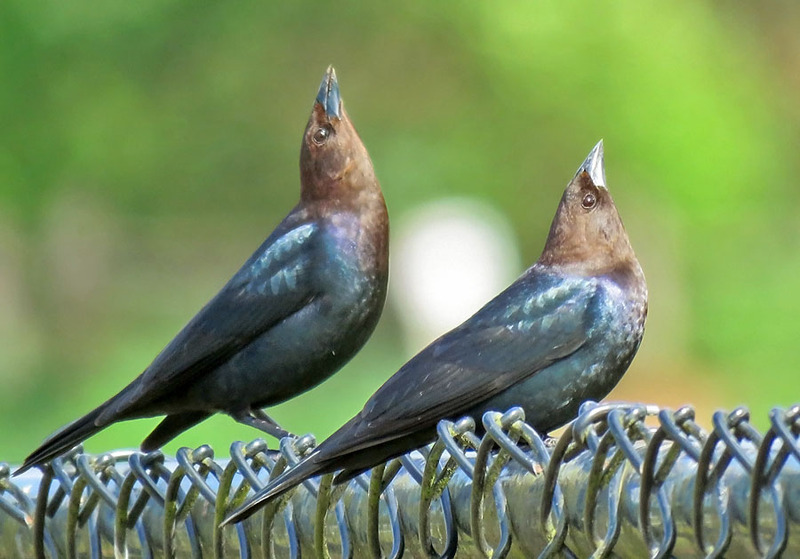 The “chatter call” of an adult cowbird triggers something in the young bird’s brain. 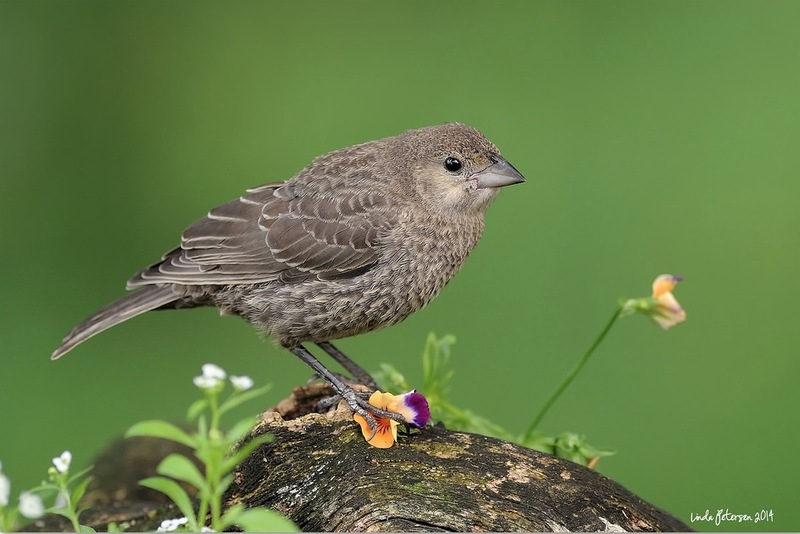 Like a kind of “password,” the chatter call guides the young bird in recognizing what species to identify with, even though cowbirds are fostered by as many as 220 different species! For most songbirds, like this Song Sparrow, learning their own species’ song is a straightforward proposition. As young male birds get ready to leave the nest for good, they hear their male parent singing again and again. They learn to copy him — they imprint on their father’s song. But what about a Brown-headed Cowbird, raised by foster parents of a different species altogether? How does the young bird learn to sing the correct song? Then, when the young cowbird is ready — probably when it’s two years old — and hears an adult male Brown-headed Cowbird sing [Brown-headed Cowbird song, http://macaulaylibrary.org/audio/126422, 0.14], it will imprint on that song. It’s a remarkable adaptation, even more so when you consider that cowbirds are fostered by as many as 220 different species. And they still wind up learning their own song. Bird sounds provided by The Macaulay Library of Natural Sounds at the Cornell Lab of Ornithology, Ithaca, New York. Recorded by Randolph S Little, Wilbur L Hershberger and Thomas G Sander.